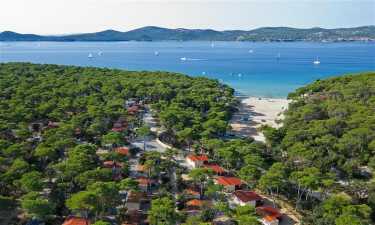 Soline is a leading luxury camping site that can be found on the enchanting Dalmatian coast in Croatia. 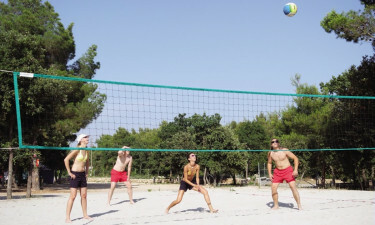 People who enjoy being active while experiencing luxury camping will find plenty of different types of activities to take part in both onsite and in the surrounding area, while people who book a mobile home at Soline will also find plenty of amenities right at their fingertips. What Makes Soline So Special? The impressive LUX-camp is situated right behind a beautiful pebble beach and this is the perfect place for guests to unwind for a while. The water here is exceptionally clean and clear and features an enclosed swimming area, where visitors will be able to spend time splashing around in the water. A pretty stretch of sand that is lapped by water where visitors can practice surfing and a range of other types of water sports is just a short stroll away. The whole family will be able to enjoy the camping holiday of a lifetime, thanks to the impressive range of facilities that can be found at Soline. An interesting programme of entertainment and sports is organised by staff onsite to make sure that there is never a dull moment - there are sports lessons, fitness classes and dedicated activities for the kids to take part in. Those who simply want to unwind in style will love making use of the sun loungers that are set beside a large outdoor swimming pool. People who have a strong sense of adventure will be able to take part in a whole host of adrenalin pumping activities when they book a mobile home at Soline. A large number of special hiking trails that offer stunning viewpoints can be found close to the luxury camping site, while mountain biking is also a popular pastime in this part of Croatia. People who have plenty of stamina can also try their hand at activities such as canoeing, rafting and bungee jumping. 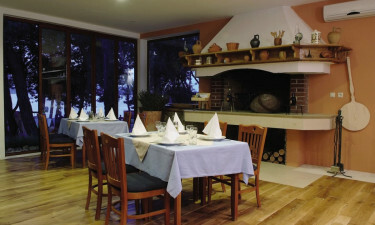 Soline’s restaurant is set in a picturesque garden and serves up a delicious range of Mediterranean dishes. 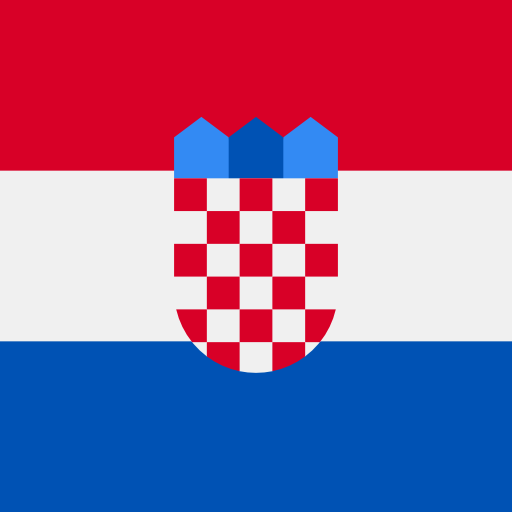 This is a great place to get a taste for the eclectic Croatian cuisine and everything from pasta dishes to paella, while they unwind on the terrace and soak up the seaside atmosphere. The Lavender bed bar is also a great place to unwind with a cocktail or two and watch the sun set while listening to tunes that are spun on the decks by an international DJ. Guests will find a special area onsite for grilling barbecues and cooking together, a good bonding experience for families. Finding fresh local produce is never a problem, as a wide range of steaks, sausages and other items can be found for sale at the onsite supermarket.